This Microfibre Duster and Cleaner can attach to our Telescopic Mop Handle to reach those out-of-the-way places you thought would just have to stay dusty. It works great all by itself too! The two-sided sleeve slips on the bendable wand to make cleaning around furniture, under the fridge, and all those hard-to-reach nooks and crannies a breeze. WHERE TO USE: Dusting Ceiling fans, around appliances, under the fridge, dryer vents, bookshelves, furniture, cabinets, light fixtures. HOW TO USE: Best used dry, slip sleeve on and then bend Envirowand to adapt to your needs. 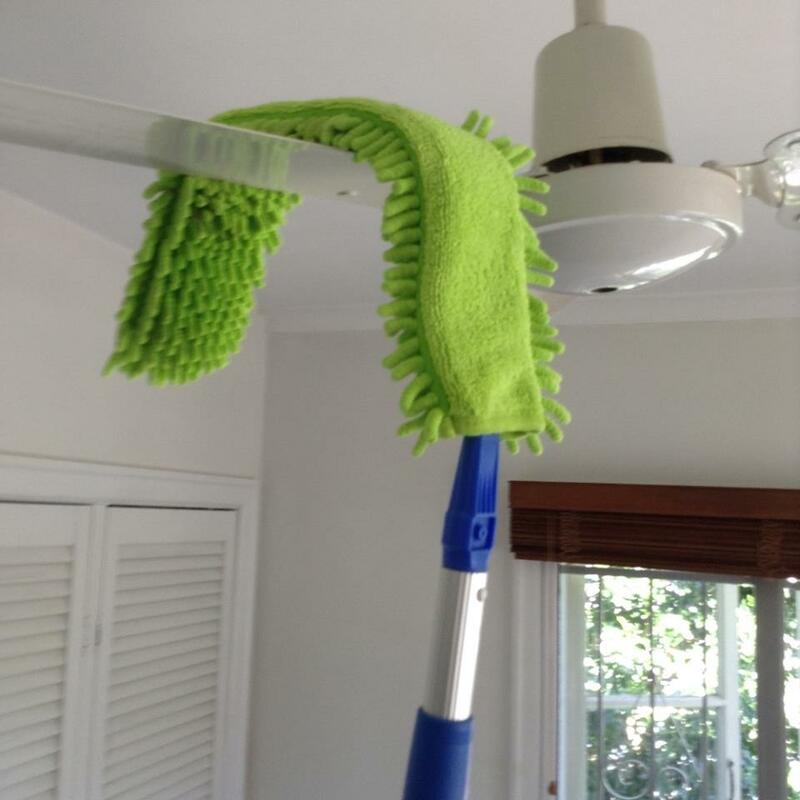 You can even spritz it with a bit of water and then clean all the hard-to-reach spots like the dryer vent, between the fridge and wall, and CEILING FANS! To attach to the Telescopic Mop Handle just squeeze the two buttons on the mop base to remove the handle. Then slip the want into the mop handle, squeeze the buttons and slide into place. Sleeve is machine washable, tumble dry with medium heat. No softener or bleach.